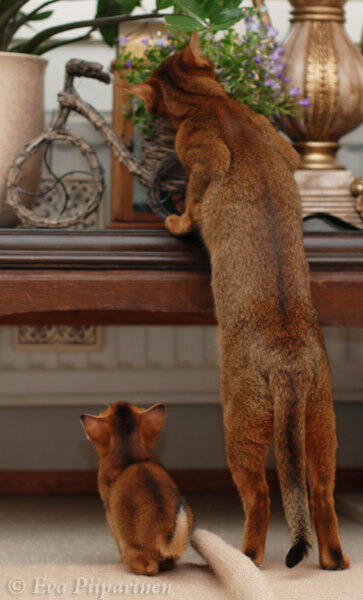 I bought my first Abyssinian cat in 1992 and started breeding this wonderful breed in 1994. Silkkihienon cattery is just a hobby breeding in a small scale. My cats are living as a full family members in the apartment and occasionally I have kittens. Wellcome to visit my Homepage, meet my cats and kittens. I hope You enjoy!